We care about the health, welfare and happiness of our staff, which is why we offer what we believe to be one of the best benefits packages around. When you join our community, we aim to improve your overall wellbeing, as well as enhancing your career. Our performance-based profit share scheme allows staff to enjoy our not insubstantial successes each quarter. Every ITVET employee has the option to keep fit and healthy with access to a Nuffield Health membership. The wellbeing of our staff is important to us, so we provide each employee with access to BUPA Private Health Care. If competitive sport is your thing, our local Squash Club is the perfect place to blow off some steam with colleagues. Our contributory Pension Scheme allows every one of our employees to save securely for the future. We provide a wide range of fruit for all employees to enjoy, to encourage a healthy lifestyle. Our kitchen is always fully stocked so staff members can enjoy a healthy, tasty lunch every day. The most important meal of the day! We provide every ITVET employee with the option of a free breakfast. No need to pay or struggle for parking - we have a dedicated parking area for all members of staff. We have one of the best social calendars around, as we like to let our hair down and have fun after a hard day's work. Keep yourself fuelled during the day with our luxury state of the art coffee machine and tea making facilities. Fancy a lunchtime tournament, an alternative meeting space just a place to chill? We have just the thing! Our Living Wage commitment will see that everyone working at ITVET, regardless of whether they are direct employees or third-party contracted staff, will receive a minimum hourly wage of £9.00 in the UK or £10.55 in London. Both rates are significantly higher than the statutory minimum for over 25s of £7.83 per hour introduced in April 2018. 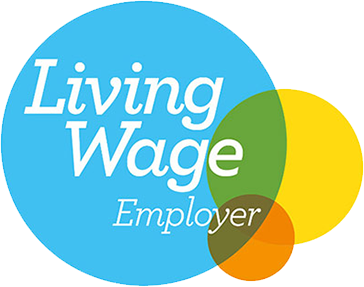 Employers choose to pay the real Living Wage on a voluntary basis. Learn more.